I've got an old dell laptop that a friend gave me to fill in while I save for a new macbook, pro to replace the one that I had stolen. It's mostly been OK, though lacking Ram, at only 4gb. I'd like to have 8. So, regarding matching or replacing the existing Ram, what would be better/cheaper, as it's only a temp solution? I've attached a photo of what's in there - don't know why it rotated! Also, if I was to add an extra 4, how do I match? The speed is 1333Mhz, its DDR3 and form factor SODIMM. Not sure about the other numbers on the sticker. The system supports max of 8GB memory. Kindly find the compatible memory modules from Crucial here. 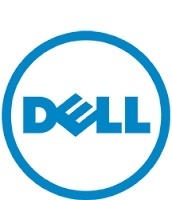 There is no 8GB module listed from Dell or Crucial for Inspiron n4050. So, you might need to install 2 X 4GB modules.